A/C Contractors is a full-service Kilgore air conditioning and heating contractor with the ability to service and install complete heating, ventilation, and air conditioning systems. In addition to preventive maintenance checks, service of existing equipment, and installation of new equipment, we can help you find ways to reduce your energy bills through a thorough cost-benefits analysis. With our Straight Forward Pricing you will always know the exact price of each job before the work begins so you can make an informed decision. You can count on our 100% Satisfaction Guarantees: Repairs – We guarantee that repairs on your equipment are fixed right or we will redo the repair for free. Replacement – We guarantee that the equipment we have installed will perform as we have stated or we will remove it and return 100% of your investment. At A/C Contractors, Inc., our certified Kilgore air conditioning technicians use state-of-the-art technology to diagnose and repair existing systems and always use the finest new equipment for installations in the industry. Furthermore, we have a patended Straight Forward Pricing Guide™ so you know what the price is before we do the work and you are never charged by the hour. Our highly trained, professional Kilgore HVAC service technicians have also passed criminal background checks and drug tests. No need to worry about your safety while our techs are in your home. We are also committed to protecting your home while we do repairs and utilize clean drop cloths and shoe covers to ensure clean work areas. Duct cleaning in Kilgore is a home maintenance task that it often overlooked by many homeowners. Thorough duct cleaning services help to maintain the healthy indoor air quality for your family. Regular duct cleaning is recommended, and more frequent service may be recommended if you suffer from respiratory conditions, smoke indoors, have multiple house pets, or complete a remodeling project. Here at A/C Contractors, Inc., our Kilgore duct cleaning experts will take time to thoroughly inspect and clean your home’s air ducts and ventilation system, leaving you with cleaner indoor air and a more efficient heating and air conditioning system. In performing some Kilgore furnace repairs, a person must first identify what is wrong with the furnace so let us take a look at some of the common problems regarding the furnace followed by the appropriate repair for the said problem. The first problem several people commonly see is when the furnace does not produce heat. 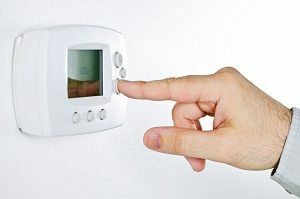 Some possible causes are when the thermostat is set low enough to cancel out the production of heat or when the thermostat itself is malfunctioning. A common cause of this problem furthermore is the tripping or blowing down of the circuit breaker controlling the furnace. This may also be caused by not opening or leaving the valve of the gas furnace control closed. To address this problem, a person may check the setting of the thermostat and setting it up properly to their desired level of heat. We’re committed to quality, and we know you won’t be disappointed when you decide to work with us. If you’re considering choosing us for your air conditioning repairs in Kilgore TX, come set up an appointment and get a free estimate or a free second opinion! Our only goal is that you get the best service available. The A/C Contractors employees who come to your home for HVAC repairs in Kilgore TX are carefully selected for only the best, most responsible individuals. We are honored when you trust us to come into your home, so we take hiring seriously. We put in the work through careful interviews, background checks, drug tests and more to make sure the staff meets our standards. Our Kilgore heating and air conditioning service comes with a 100 percent guarantee. If you’re not satisfied and the system doesn’t hold together, we’ll come back and fix it again for no charge. If we didn’t get it right the first time, it’s free. That’s because we want to give you the very best in HVAC work quality. A/C Contractors is the largest heating and air conditioning service in East Texas, and we’re known for our high-quality standards in Kilgore air conditioning repairs. 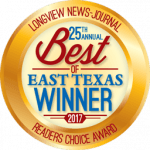 The Better Business Bureau gave us an A+ rating, and we’ve been honored to be recognized by the Best of East Texas. Don’t compromise and settle for a lesser service. Contact us today to schedule your Kilgore heating and air conditioning service and get your money’s worth. Your home deserves the very best. Experience the service and work quality everyone’s been talking about! "An employee of yours (not sure of his name) did a maintenance call on my mother's A/C-Heat today. His professional and kind attitude is definitely an asset to your company. He answered all questions thoroughly, with precision and respect."